This month, SeaDoc kicks off a project using trained citizen scientists to help study changes in subtidal fish and invertebrate populations. 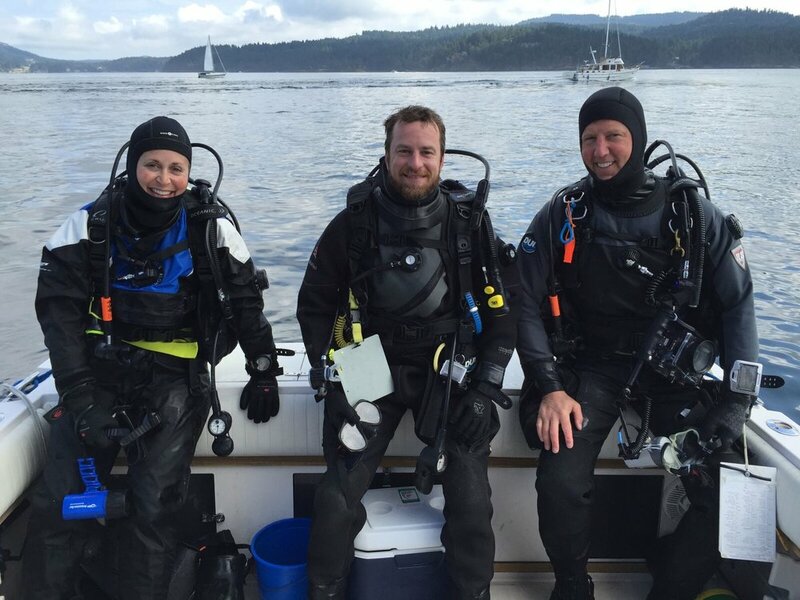 This ambitious multi-year intelligence-gathering effort will use recreational SCUBA divers -- trained and certified by the REEF Environmental Education Foundation as experts in identifying fish and invertebrates -- to get a long-term view of what's happening at multiple sites in the San Juan Islands. Lost fishing gear is commercial and recreational fishing gear -- nets, traps, pots, line -- that becomes lost or is discarded in the water. The gear ends up sitting on the sea floor, getting caught on rocky reefs, or floating in the water column. The majority of this lost gear does not decompose in seawater and can remain in the marine environment for years. and it can similarly endanger humans, especially divers. Lost gear is also a visual blight, diminishing the natural aesthetic quality of the seafloor and rocky reef habitat for underwater enthusiasts. SeaDoc works on derelict fishing gear in California and in the Salish Sea. Click here for details on the California program. SeaDoc provides technical assistance and support for derelict gear removal in the Salish Sea. We have worked closely with the Northwest Straits Commission to analyze data from recovered nets to determine the economic impact of lost gear and its removal. The results showed a clear return on investment for removing nets. 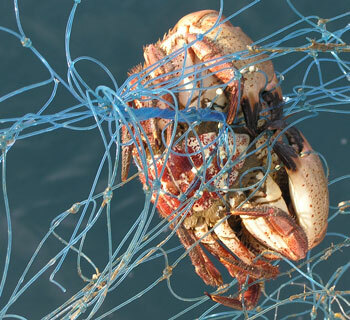 For example, we calculated that an abandoned net might kill almost $20,000 worth of Dungeness crab over 10 years. Cost to remove? $1,358.00. Click here to learn more about the economic impact of derelict gear. Photos by Jen Renzullo. Video by Mike Neil.